MEET THE MUSE: Lisa Rueff ~ yogi, wanderlust, music-lover, and the founder of YogaVentures and Jacmel Children’s Center. Feeling contentment and completely at peace. Losing people that are close to me. To sing and play the guitar really well. What is the trait you are most grateful for in yourself? What is the trait you most cherish in others? What makes your soul shine? Friends, family, blue skies, sunshine, nature, dancing, visiting beautiful places. As you call it, my Goldilocks! If you died and came back as a person or thing what/who would it be? I would come back as a butterfly- would love to personally experience the metamorphosis and the ability to fly. I am most inspired when I am meeting people who are Unsung Heroes of Compassion- who do meaningful work in the world because it tugs at their heart and their soul. I would be more patient. To help out the environment and reverse climate change. Eliminate plastic and monsanto. Which historical figures have inspired you? So many! I’m really into music, so I’ll have to say Louis Armstrong and Ella Fitzgerald. Who are your living muses? So many musicians and artists that inspire me are Michael Franti, G.Love, Brett Dennen, Phil Lesh, Bob Weir, Willie Nelson, Pat Monahan and the list and the beat goes on and on.. Enriching people’s lives and making the world a more joyful and uplifting place to be. Its from Maya Angelou- “I’ve learned that people will forget what you said, people will forget what you did, but people will never forget how you made them feel. Building a Children’s home and School in Haiti. When have you taken a leap – of faith, joy? Often. I try to challenge myself everyday. 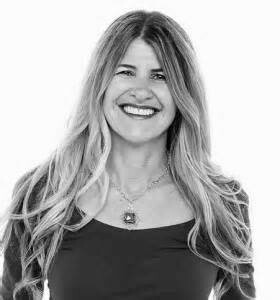 Lisa Rueff is a vibrant and enthusiastic Bay Area yoga teacher popular for her ability to bring community together for fun and flowing yoga classes, as well as for fundraising events to benefit causes close to her heart. Based in Marin, she leads yoga retreats, classes and workshops all over the world. She started Yoga Ventures in order to take her life’s mission of community service to the next level. Through Yoga Ventures’ events she raises awareness and funds for local and international communities in need. As a vibrant and energetic teacher and community leader, she is passionate about inspiring, enriching, and nurturing others. Leading international yoga and service trips abroad, she encourages her students to discover the joys of philanthropy and volunteer work. Lisa provides you with the opportunity to visit a foreign country, practice yoga on and off your mat, with meaningful, service-oriented yoga retreats. She combines her love of international travel and yoga with short-term humanitarian trips, having a profound and sustainable impact on the global community. 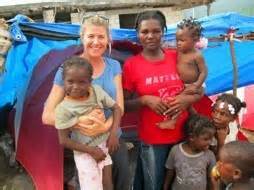 In addition, Lisa is founder and director of The Jacmel Children Center. She and her husband are building a children’s community center and permanent home for homeless orphans in Jacmel, Haiti. You can learn more about the project at www.jacmelchildren.org, and learn how you can get involved!